The continued rising tensions in the Gulf region might risk the Organisation of Petroleum Exporters’ (OPEC’s) oil production cuts agreement, especially if Qatar, a major producer, who is at the middle of the tension decided not to follow the agreed production quota, oil market watchers have said. The breakdown of diplomatic ties between Qatar, Saudi Arabia and its allies has sparked fears that OPEC’s fragile deal to limit production could come under pressure, as Iran and Turkey rallied behind Qatar, according to Ikechukwu Kelikume, an Economist with the Pan Atlantic University which has its campus in Lagos. The Gulf States, including Saudi Arabia, the United Arab Emirates (UAE), Bahrain and Egypt are locking horns with Qatar, Iran and Turkey in what has been described as the biggest diplomatic row in the Middle East in years. Qatar and Iran are members of OPEC, which orchestrated a production agreement that saw the cartel’s members, along with some non-OPEC members including Russia cut production by 1.8 million barrels a day to curb a supply glut in late 2016, which was recently extended for another nine months. Nigeria, which relies largely on oil revenues, may be hurt if the market is oversupplied resulting in falling prices. 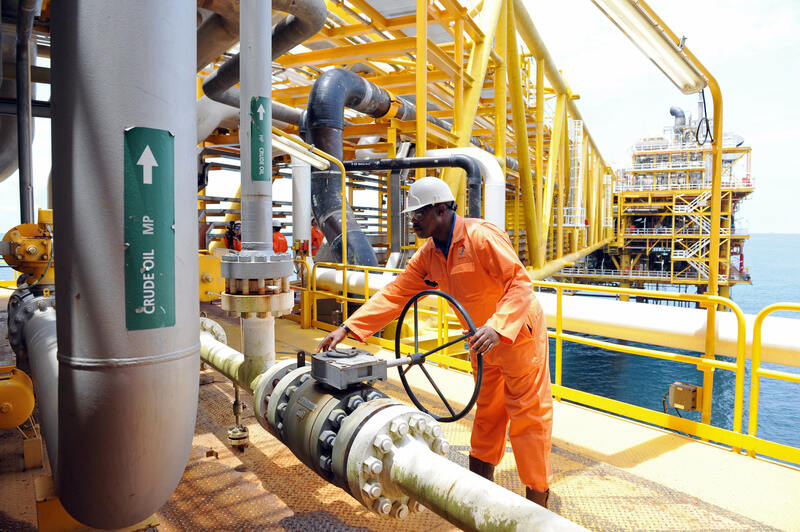 “If the conflicts is pushed at the OPEC level and output is affected by any of the parties pulling out of the accord, Nigeria will not benefit as this may further push down prices, says Buchi Ejiogu, head of Research and Strategy at Equator Capital. The row, which started Monday when Saudi Arabia along with its allies including the United Arab Emirates (UAE), Bahrain and Egypt officially cut ties with Qatar, accusing the small Island nation of sponsoring Islamist militant groups which have undermined the security and stability of the Middle East. Although, at first, the move lifted global prices, but much of those gains have been erased due to rising output from the U.S. and Libya. But conflict within OPEC, whose members produce 40% of global oil output could have implications for oil dependent countries including Nigeria and Venezuela whose economic fortunes depend heavily on oil futures. The markets immediately presented mixed signals as West Texas Intermediate crude fell 0.6 percent to settle at $47.40 per barrel on the New York Mercantile Exchange while Brent crude slipped 1.6 percent to $49.47 per barrel on London’s ICE Futures exchange in a move, which is seen as contradictory to the behaviour of crude oil price in conflict times. However, Nigeria, which benefitted an estimated $12.5 billion in revenues from the sudden jump in oil prices caused by the First Gulf War between 1990 and 1991 may not be twice lucky as the current diplomatic row has failed to raise oil price as has been the case in the past. Growth in Nigeria’s major macro-economic indices is directly correlated with the price of oil and the volume the country produces. In recent times, relative stability in the volume of oil output as well as prices which has maintained a $51- 47.91 corridor has seen the economy make some gains from its worst recession in 25 years. A worker inspect facilities on an upstream oil drilling platform at the Total oil platform at Amenem, 35 kilometers away from Port Harcourt in the Niger Delta.